8348 Ute Highway 66, west of Longmont, 303-776-8848; www.bouldercountyopenspace.org. 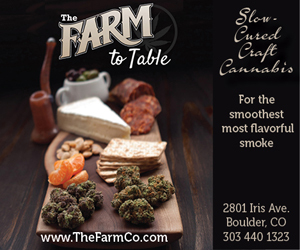 Offering a glimpse into the history of agriculture in Boulder County, this site focuses on the years 1900-1925, when families prospered as farmers and witnessed the coming of the modern age. Open 10am-5pm the first Saturday of each month through March 31, then open Friday, Saturday and Sunday through the end of October. 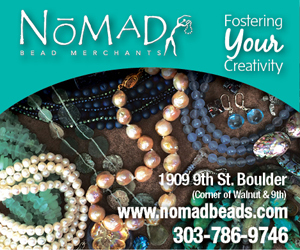 See listing for Museum of Boulder. 1750 13th St. (next to Dushanbe Teahouse), 303-443-2122; www.bmoca.org. . Check the website for updates on upcoming exhibits and other museum events like lectures, demonstrations, classes and the Young Artists at Work program. Museum admission is only $1. The mission of the Broomfield Depot Museum, 2201 W. 10th Ave., is to collect, preserve and interpret the history of Broomfield while focusing on the railroad depot. The Broomfield Veterans Memorial Museum, 12 Garden Center, showcases permanent and temporary exhibits honoring those who have served in the armed forces. Both are open Saturdays 9am-3pm and by appointment. www.broomfield.org. 1125 Pine St., 303-441-3110; www.boulderlibrary.org. Boulder’s original library building houses historic Boulder County photographs and manuscripts. 17155 W. 44th Ave., Golden, 303-279-4591; www.coloradorailroadmuseum.org. CRM’s sprawling 15-acre grounds offer railroad cars and equipment, a main building in the style of a 1880s depot, a reference library, general store and picnic area. 1085 18th St., 303-492-8003; cuartmuseum.colorado.edu. The CU Art Museum recently reopened after extensive renovations; admission is free. This free-admission art museum on the CU campus is open to all and “strives to serve as a generator and incubator of artistic inquiry.” Group tours are available, and photography of exhibits is encouraged. Third floor of Old Main, CU campus, 303-492-6329; www.cuheritage.org. Located in the University of Colorado’s original building, the Heritage Center preserves CU ­history in nine themed rooms, including the Architecture Gallery and the Distinguished Alumni Gallery. A museum collections workroom is open to the public for viewing and research. “Hit the Bricks!” is a long-term exhibit of the CU campus created with 1 million LEGO bricks. 100 W. 14th Ave. Parkway, on 13th Avenue between Broadway and Bannock, Denver, 720-865-5000; www.denverartmuseum.org. DAM makes its fabulous array of art and artists available to everyone with First Free Saturdays, offering free general admission to Colorado residents on the first Saturday of the month. Youth 18 and under are free every day. Join the “Untitled” party on the last Friday of the month and enjoy art, music, performances and refreshments from 6-10pm. Check online for information on lectures, tours, family activities, films and more. 2001 Colorado Blvd., Denver, 303-370-6000; www.dmns.org. DMNS features outstanding permanent exhibits like “Expedition Health,” “Space Odyssey” and “Egyptian Mummies,” plus popular touring exhibits, an IMAX theater (see listing in Film section) and the Gates Planetarium. 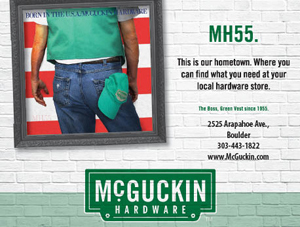 8306 N. Highway 287 (107th St.), Longmont; www.bouldercounty.org. Open June-August only. 923 10th St., Golden, 303-278-7151; www.goldenhistory.org. GHM operates three sites in Golden: the Astor House Museum, Clear Creek History Park and the Golden History Center. 1200 Broadway, Denver, 303-866-3682; www.historycoloradocenter.org. History Colorado’s hands-on, high-tech exhibits include a 40-by-60-foot tile map of Colorado and a “time machine” visitors can push across the map to hit hot spots that reveal video stories. Exhibits include “Living West” and “We Love Rocky Mountain National Park.” Check online for special events, plus links to other historic sites operated by the Colorado Historical Society. 108 E. Simpson St., Lafayette, 303-665-7030; www.cityoflafayette.com. Refurbished 1890s coal miner’s home with displays of mining equipment and period household items. Open Thursdays and Saturdays 2-4pm and Tuesday evenings 7-9pm. 400 Quail Road, Longmont, 303-651-8374; www.longmontmuseum.org. An outdoor courtyard and four exhibit spaces encourage visitors to explore Longmont’s history and culture. A permanent history exhibit spans 14,000 years of Longmont and Front Range history. The Longs Peak Room is an interactive gallery with hands-on history games and other activities. The new Stewart Auditorium hosts theater, film, music and other events. 1001 Main St., Louisville, 303-665-9048; www.louisvilleco.gov. Owned and operated by the city of Louisville, this museum features three historic buildings with an extensive collection of coal-mining artifacts and old photographs. Pick up a map of the Louisville Downtown Historical Walking Tour. Open Tuesday, Wednesday, Friday and Saturday 10am-3pm. Also open First Fridays 6-8pm. 500 N. Lincoln Ave., Loveland, 970-962-2410; www.cityofloveland.org. The 28,000-square-foot museum hosts exhibits on the history of Loveland and the surrounding area, including a huge topographical relief map of the Big Thompson River system. 338 High St., Lyons, 303-823-5271; www.lyonsredstonemuseum.com. Gift shop and regional genealogy displays, housed in an 1881 redstone schoolhouse. Open daily through the end of September only. 2205 Broadway, 303-449-3464; www.museumofboulder.org. The new Museum of Boulder opened May 19, just in time for the exhibits listed below. Check the website for a schedule of programs and other events. 1850 Table Mesa Drive, 303-497-2408; scied.ucar.edu/visit. NCAR houses a Smithsonian-affiliated museum. Its Visitor Center, in a magnificent building designed by I.M. Pei, features exhibits that teach all ages about weather, climate and atmospheric research. Free tours begin at noon three days a week, or take your own self-guided tour. NCAR’s Mesa Lab­oratory also has several galleries with rotating art exhibits; see separate listing under Galleries. 200 Bridge St., Nederland, 303-258-0567; www.bouldercounty.org. A glimpse into the world of hard rock mining days in Boulder County. Open weekends through Oct. 28 only. 1213 Washington Ave., Golden, 303-277-0377; www.rmqm.org. 3001 E. Ken Pratt Blvd., Longmont, 303-774-4692; www.ci.longmont.co.us. Historic homestead property includes hands-on displays inside the circa-1880 house, plus educational exhibits in the ice house, toolshed and barn. There’s also a nature trail with a scenic overlook. Open Tuesdays 9am-noon from mid-May through August and 2nd and 4th Saturdays 10am-2pm from mid-May through October. 5020 Chaparral Court, Gunbarrel, 303-516-9565; www.shelbyamericacollection.org. Features 40 prize sports cars, plus a reconstructed shop. Open Saturdays 10am-4pm and for special events. At Erie Municipal Airport, 2650 S. Main St., Erie, 303-460-1156; www.spiritofflight.com. Hundreds of rare aviation items and artifacts that represent the past, present and future of flight. Open 10am-2pm every Monday, Wednesday and Friday, and 2nd Saturdays. Henderson Building, Broadway at 15th Street, 303-492-6892; http://cumuseum.colorado.edu. Permanent, temporary and traveling exhibits include Southwestern pottery, textiles, fossils, rare plants and beetles. The museum hosts regular programming, workshops and other events. Don’t miss the second-largest bird collection in the Rocky Mountains or the impressive triceratops display. The museum is open seven days a week, and admission is free. The first Saturday of each month is Family Day, with special activities. Check online for a full calendar of events. 11611 Jasper Road, Erie, 303-828-4568; www.eriehistoricalsociety.org. Artifacts, equipment, photographs and displays related to the history of the Erie area, plus a restored farmhouse dating back to the mid-1870s. Open Saturdays 10am-2pm May-September only and by appointment. 110 N. Harrison Ave., Lafayette, 303-604-2424; www.wowchildrensmuseum.org. 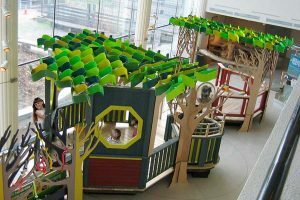 Nonprofit children’s museum offers interactive science and art exhibits, classes, performances, workshops, yoga sessions and sensory-friendly playtimes for children aged 1-11 and their families. The Little Clinic exhibit allows kids to explore the medical field through play.